Another two-week long European Go Congress has flown by quickly. Between hard go battles on the boards, participants at the historic 60th Congress could enjoy football, volleyball, basketball and table tennis matches, creative workshops, board games, exhibitions and more. Players and guests were especially amazed by the photo screen for instant photo printing provided by the Videofabrika company, enabling anyone to instantly print or email photos of themselves playing go or posing with props, or photos of pro guests who would then autograph the photos. Overall 984 people from 36 countries, including 27 accredited journalists, organizers and volunteers, took part in EGC 2016. 689 players competed in the Main and Weekend tournaments. 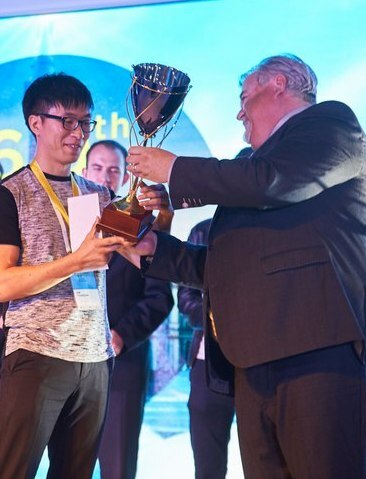 Several EGC records were set, including the largest number of players in the Rapid Tournament (306) and Youth tournament (42). 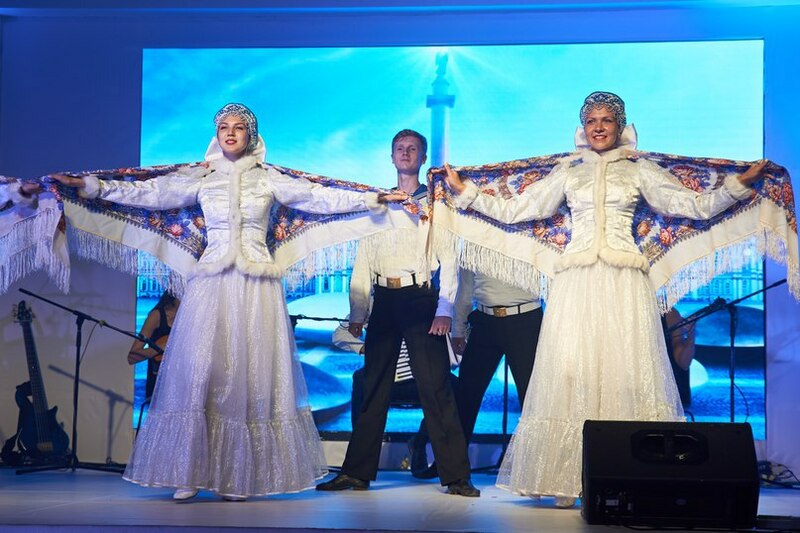 The EGC’s Closing Ceremony featured live music, dance performances and a reception. RGF vice-president Vladimir Gorzhaltsan, together with Turkey’s Kerem Karaerkek, representing the EGC 2017 organizing team, started the countdown watch showing the time left till the start of the next Congress. The main focus, however, was on the tournament winners. The winner of the main Congress tournament was unexpected. Before the last round the bets were on the recent European champion Ilya Shikshin and Chan Yi-Tien, the World Amateur Champion who also won the EGC Rapid tournament but both of them lost in the final round, so fortune turned her eye to Korean 7d Kim Youngsam (left), who had already won in several EGC events here including the Pair Go tournament with Manja Marz, the Weekend tournament, and the Lightning tournament. All the results can be found here.